By now, we are all used to the computerized tone of voice assistants like Siri giving us navigation instructions. How often does this happen: Siri says, "Your destination is on the right," but you still fail to see that little donut shop you're looking for. That mechanical way of getting directions may change soon though. Instead of saying, "Your destination is on the right", Siri could soon be telling you, "Your destination is behind OfficeMax." In other words, more human-like. Why should we expect this change? According to a patent filed by Apple back in October 2013, the Cupertino company wants its voice assistant to become more human-like. 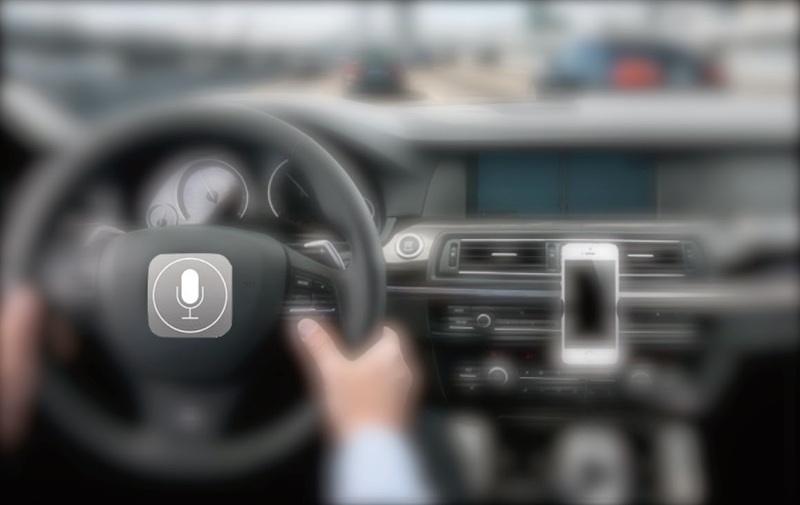 The Humanized Navigation System (HNS), which will have Siri do the talking, is looking to get more "focused on comprehension rather than precision." Instead of a mechanical description of your destination, it will look at being more descriptive about the surroundings. In addition to this, Apple is looking to use crowdsourced data to improve the system over time. Crowdsourced data could be used to add landmark descriptions to a location. Even if landmarks don't have names, it could include instructions like "your destination is on the right in the red building." - "Exit the parking lot near AppleBees restaurant and then turn right towards Golden Ave."
- "Head North towards AMC Cinema." - "Your destination in the apartment complex with the water fountain in the front." - "Your destination is in the strip mall to your right." - "Your destination is inside Westfield Mall to your right." - "Take the first right after the light." - "Take the second entry into the mall." - "Enter 280S to your right. The entry ramp will be the second freeway entry on your right." - "Start merging to the right-most lane to take the exit in 1 mile." - "Stay on one of the two left-most lanes to continue on 280N." - "Stay in the middle lane to continue on to the Bay Bridge." - "Stay on the right-most lane and exit on to 85N." - "Take the turn after the next one." - "Turn right after the school building." - "Turn right at the next stop sign." - "You missed a turn and will have to be re-routed. You will now arrive at your destination in 16 minutes." - "Stay on this road while a new route is being prepared." There are plenty of other improvements included in the patent filing. Things like informing someone you want to about being late due to re-routing or heavy traffic via a text, email, phone call, or tweet. You can read the entire patent application by visiting this link. Whether this patent, like the hundreds of other patents Apple files for, ends up as any sort of finalized product remains to be seen.